Rats will seek food inside and out then return to their burrow and they obtain water from sinks, toilets or condensation from utility pipes. Nesting burrows on the perimeter of a property are often along the foundations of walls and they create a network of underground tunnels. Inside, they may be found in the attic and ceiling areas. We offer multiple services to remove both rats and mice and you can choose the right level of protection and cover whether you are a commercial or a domestic client. 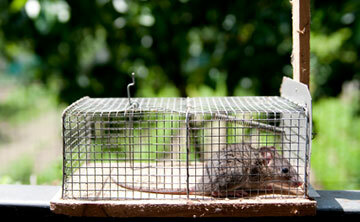 Effective rat and mice control normally involves carrying out a full site survey to determine the levels of infestation. We then set up bait points and make a number of follow up visits until the problem is under control. Rodents are suspicious of changes in their food and environment for this reason it may take anything from 2-14 days to for poison baits and traps to work.